When considering your education and subsequent career path options for entering the healthcare field, many students are choosing to commit to a career in nursing. Few careers offer the same rewards, both personally and financially, that comes with being a nurse. There are many educational institution options in South Carolina for nurse schools and nursing programs that cover career paths from LPN right up to MSN. 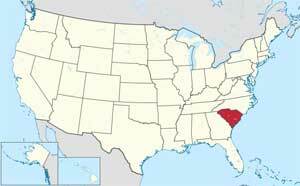 South Carolina is also a compact state, so there are more employment opportunities available for graduates. LPNs in South Carolina make up 21% of the nursing workforce and are in high demand. The average length for an LPN program is approximately one year and includes hands on experience. Although course work can vary between schools, there are several topics that are covered in all the accredited programs. These include math for nurses, nutrition, anatomy and physiology, basic nursing skills, pharmacology and psychology. Students graduate well prepared to handle LPN work on a daily basis and are eligible to write the NCLEX-PN exam. 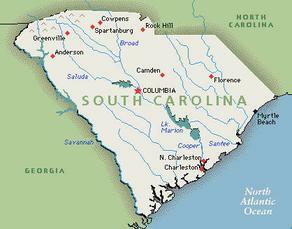 As an LPN in South Carolina, you will provide hands on patient care, administer medications, bathing and feeding. You may also be required to give guidance to family members, assist with completing treatment plans, perform diagnostic procedures and many other duties. The South Carolina State Board of Nursing recognizes two RN degrees. There is a two year Associates Degree in Nursing (ADN) degree program, or there is a four year Bachelor of Science in Nursing (BSN) degree programs. There are 29 accredited nursing schools throughout the state that offer these programs. Both of these RN degree options will allow graduates to write the NCLEX-RN exam. An RN has many duties that can vary from day to day, but normally an RN can expect to provide emergency medical care, insert IV lines, administer medication and injections. They may also be expected to create treatment plans for patients, perform diagnostic test procedures and supervise LPNs and CNAs. With the ability to learn at your pace and from the comfort of your home, online degree programs are becoming more popular. In South Carolina there are numerous program types available for online degree courses, including CNA, LPN, LPN-RN, RN-BSN and RN-MSN. For currently employed LPNs or RNs, this gives them the flexibility to practice while upgrading their currently held degree. Once you have chosen a program, you should check with the Board of Nursing (BON) to ensure that the accreditation is recognized in the state.